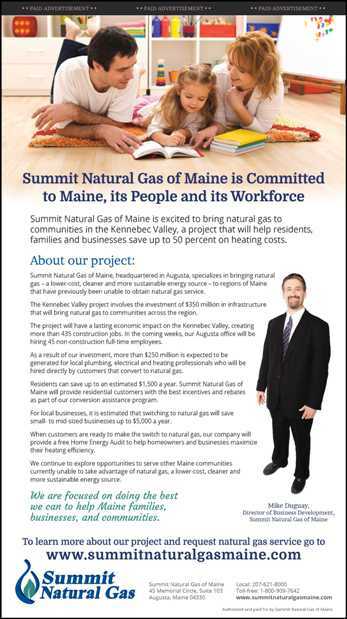 Summit Natural Gas of Maine Coming Soon! Summit Natural Gas of Maine is excited to bring natural gas to communities in the Kennebec Valley, a project that will help residents, families and businesses save up to 50 percent on heating costs. Rock Coast Personnel and KMA Consulting are pleased to be part of this effort.